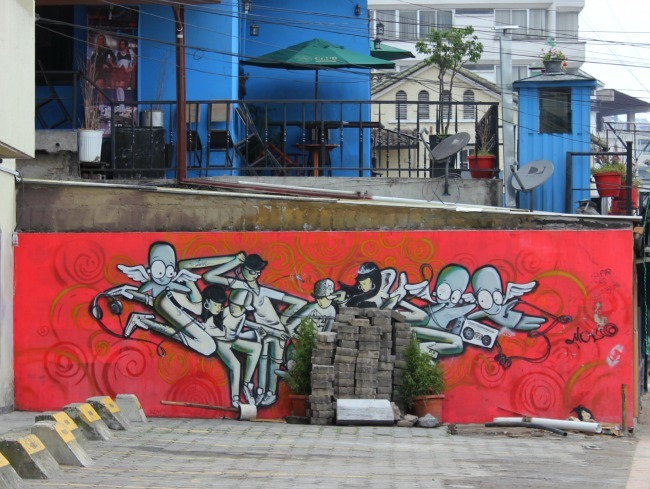 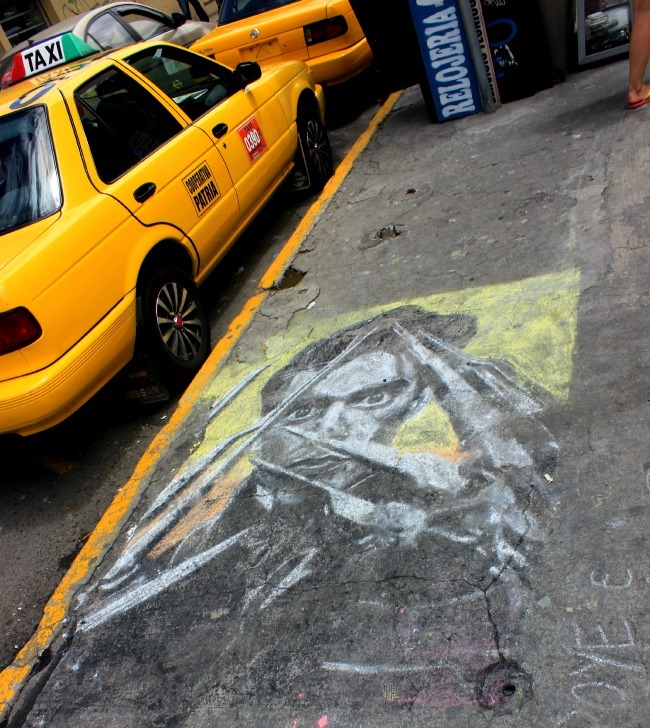 My travelling has fueled my devotion to art, and especially to street art. 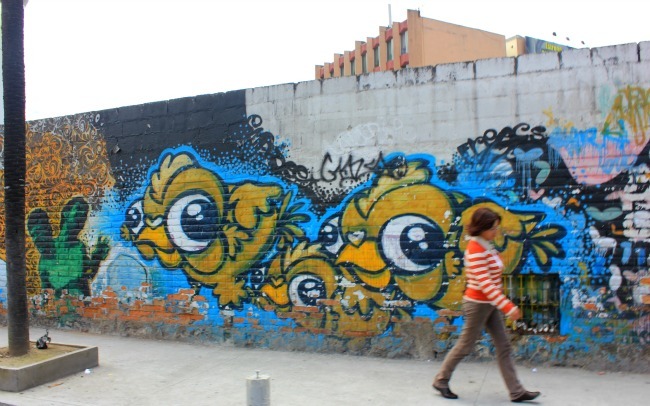 From murals to graffiti, sculpture to architecture, I’m always on the lookout to see what can be found on the street of cities I visit. 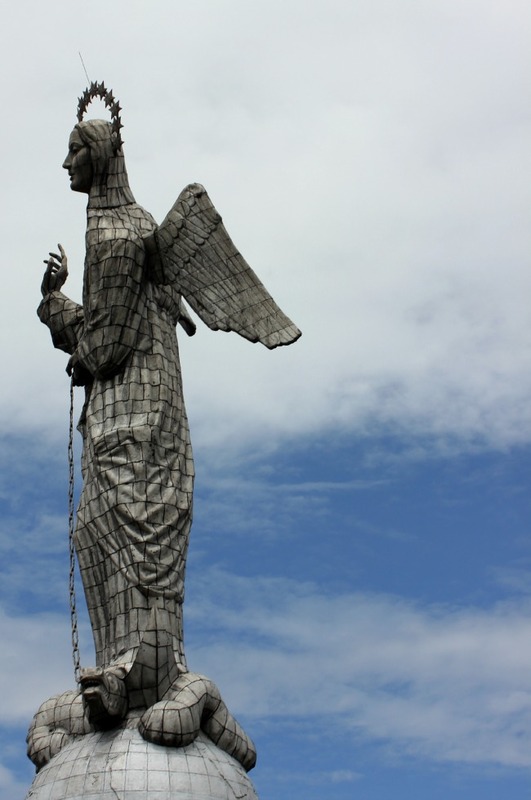 In Ecuador it started with this lady (seen above), the El Panecillo Madonna, who oversees the city of Quito. 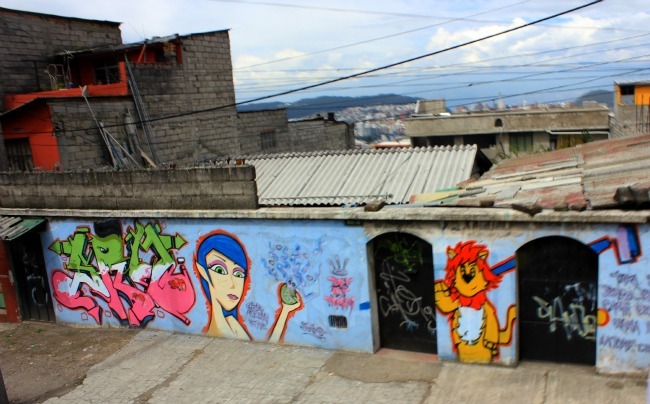 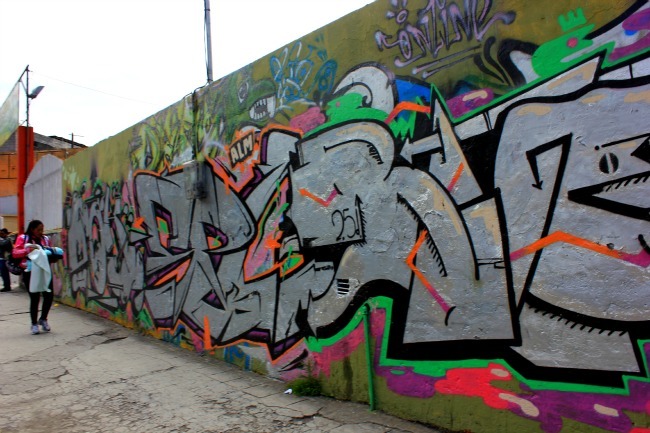 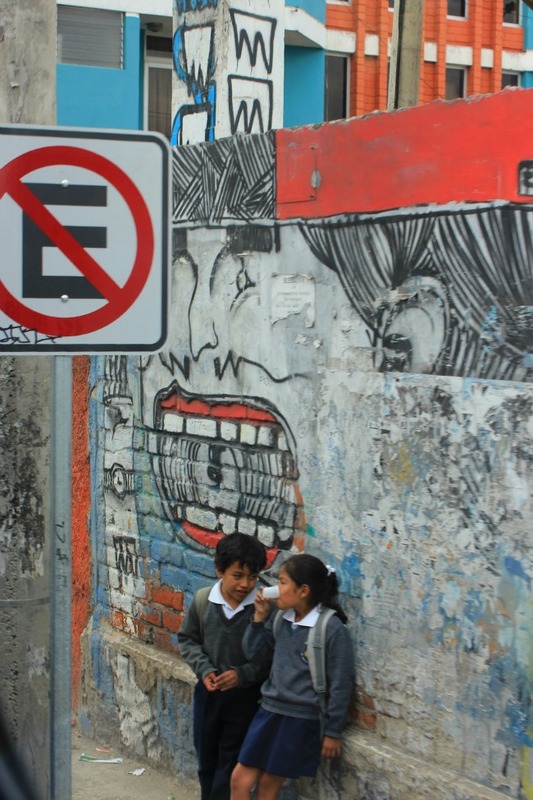 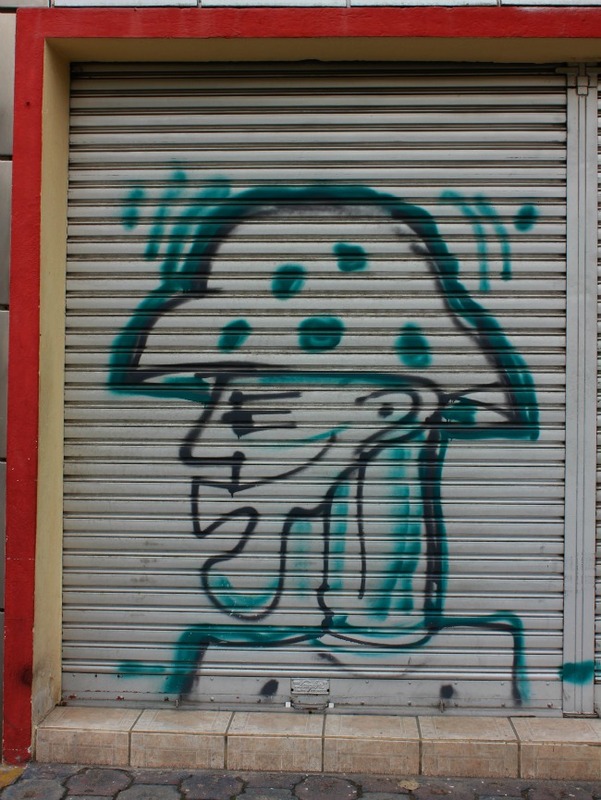 When I think of Ecuador, I think of my time in the rainforest jungle, the wildlife of the Galapagos Islands and all the people I got to share those experiences – but then my mind turns to the colourful street art, which was easily found throughout the downtown.